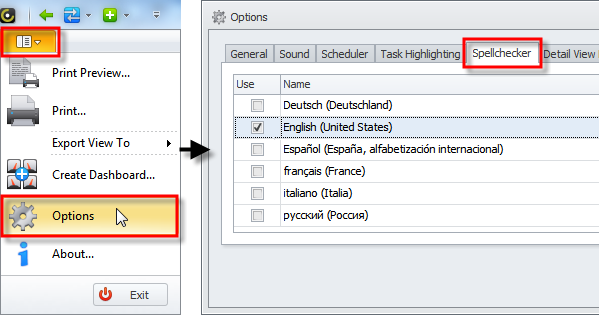 CentriQS spelling checker underlines misspelled English words in the text fields. 1. Click Application Menu, click Options, and then in the Options dialog box click the Spellchecker tab. 2. 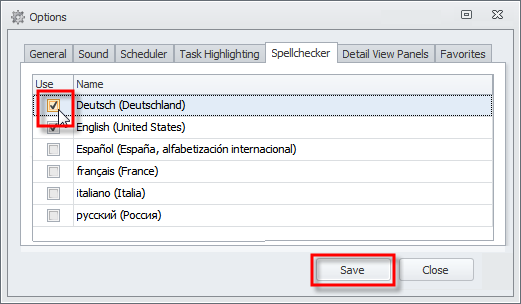 Select the check box next to the language which dictionary you want to add to CentriQS spelling checker, and then click Save. If you cannot find your native language in the list, please, contact our support to get assistance.